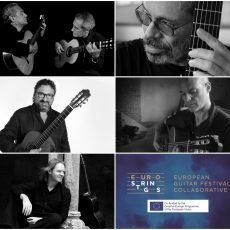 » The Harmonia Cordis Association was founded in 2007 as the result of the desire to organize cultural events in the music sphere, especially in the field of guitar and classical music. 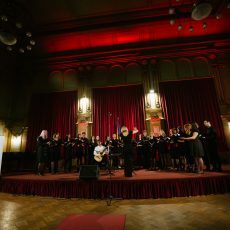 • Novum Generatio International Guitar Days (in Cluj-Napoca – December), first edition held in 2011. 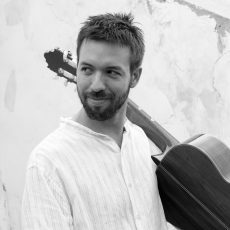 • Terra Siculorum International Classical Guitar Festival & Competition (in Odorheiu Secuiesc, Miercurea Ciuc, Sfântu Gheorghe and Gheorgheni – April) 8 editions between 2008 and 2015. » The most important events organized by our Association were broadcasted live on harmoniacordis.org/live, an innovation which aims at attracting and acquainting the public with these kinds of events which are actually a compact representation of the Romanian domain of guitar caught in the process of development. You can view the first issue of the HC magazine here. 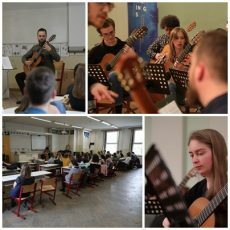 » Asociaţia Harmonia Cordis a fost înfiinţată în anul 2007 din dorinţa de a organiza evenimente culturale în sfera muzicală, în special în domeniul chitarei şi a muzicii clasice. • Zilele Chitaristice Internaţionale „Novum Generatio” (Cluj-Napoca – decembrie), prima ediție în 2011. (Odorheiu Secuiesc, Miercurea Ciuc, Sfantu Gheorghe, Gheorgheni – aprilie) între anii 2008–2015. Primul număr al HC magazine poate fi vizualizată aici. » A Harmonia Cordis Egyesület 2007-ben alakult zenei illetve kulturális események szervezése érdekében, leginkább a gitár és klasszikus zenére fektetve a hangsúlyt. • Novum Generatio Nemzetközi Gitárnapok 2011. óta (Kolozsvár – december). • Terra Siculorum Nemzetközi Klasszikusgitár-fesztivál és verseny 2008–2015. között (Székelyudvarhely, Csíkszereda, Sepsiszentgyörgy, Gyergyószentmiklós – április). A HC magazine első száma megtekinthető itt. The 40th anniversary of the coronation of Franz Joseph I of Austria, King of Hungary brought a new bill regarding long-term loan for provincial cities to build (or re-build) their town halls. Thanks to this bill, the Palace of Culture was constructed on the request of mayor György Bernády. The ”Franz Joseph Cultural House” was built by Marcell Komor (1868-1944) and Dezső Jakab (1864-1932). The architect duo planned the town hall (completed in 1908) and two unrealized buildings: the Maros-Torda Country Court House and the Municipal Theatre building. The Culture Palace initially was planned as a two storey building, but mayor György Bernády persuaded the architects to add an additional floor (despite the fact that the construction has already started at that time). The local musical school had to move into the new building and the initial parameters proved too small for the school to fit in. The exterior and interior decorations are the work of the members of the Gödöllő Artist’s Colony. Aladár Körösfői-Kriesch realized the lobby decoration – similar to the English Pre-Raphaelite art and, because its simplified forms and strong contours, with the Japanese style woodcuts. Körösfői-Kriesch designed the 920×320 cm giant mosaic of the façade. The mosaic was realized by Miska Róth in his Budapest workshop. The Mirror Hall’s stained glass windows, designed by Ede Toroczkai Wigand és Sándor Nagy, were also manufactured in Róth’s workshop. The stained glass windows were exhibited in Budapest in 1913. Only after the exhibition closed, the windows were transported to Târgu Mureș in the autumn of 1913. In the right wing of the Palace the local music school (functioning since 1907) was accommodated, whereas the right wing has been home to the County Library since 1913. Additionally, in 1913 the Gallery and the language school also moved into the new building. The organ has been set up in the concert hall. Today, the organ is one of the largest in Central Europe. The organ is special, because it ‘survived’ all he renovations of the last century. Its original pipes still function perfectly: the most peculiar are the vox humana, which imitates the human voice and the Unda Maris, imitating the sea waves. The concert hall housed the city’s first movie theatre between 1913 and 1957, the first Romanian Theatre School between 1934 and 1940, the State Theatre between 1946 and 1973, the Fine Arts and Music Secondary School between 1949 and 1970, the Academy of Fine Arts between 1932 and 1949 and the County House for Guidance of Folkloric Creation between 1950 and 1999. The Palace’s second floor accommodates the Bernády Gallery and the collection of works by Romanian modern artists. This is where the visitors can admire mayor György Bernády’s office or visit the stained glass window exhibit. The first representations of Baroque architecture appeared in Targu Mures in the second half of the 17th century. The Pálffy House, built around 1640, reflects an evolutionary stage that surpasses typical Renaissance architectural elements such as those of the oldest buildings of Targu Mures, the Köpeczi and Nagy Szabó houses. The edifice was built by judge Tolnai János and sold to the Pálffy family in 1885, hence the name by which the building is known today. The building was renovated in 2006 and today it hosts the newly established Music School of the University of Theatrical Arts of Targu Mures. In 1492 Prince Báthory István ordered for a castle-fortress to be erected around the Franciscan monastery and church. A few of the original elements have been preserved, among them wall fragments on the Southern and Western sides, the tower on the Southern wing, attached to the furriers' bastion, and ruins of the South-Western tower, included nowadays in the tanners' bastion. The structure of these towers and the fact that they are square-shaped are indicative of a medieval type military architecture. Six bastions were added during the reign of Bethlen Gábor (1613–1629). The furriers' bastion, erected in 1628, was divided into four levels, the vast interior space allowing for several craftsmen's guilds to function here. In addition to the furriers' guild after which the bastion was named, the locksmiths' and goldsmiths' guilds also had their headquarters here. Each bastion has firing holes for cannons on lower levels and for hand-held weapons in the walls of the first and second floors. The erection of surrounding curtain walls took until the second half of the 17th century. The inside of the walls are provided with archways supported by posts that sustain the guard path that is on the same level as the firing holes. There may have been defense ditches on the outside which were covered in time as they were not used. The fact that Transylvania lost its status of autonomous principality and became part of the Hapsburg Empire entailed a series of changes in what concerns military architecture. Modern, Vauban type fortresses were built in many Transylvanian towns such as Alba-Iulia, Oradea, Timișoara. The political changes in the principality were not without consequence to the fortress of Târgu Mureș. The houses inside the fortress were demolished to make place for the military headquarters and bakery. Following the restorations of 1962–1965, the walls and bastions reclaimed their initial form. NO AGE LIMIT CATEGORY ONLY. 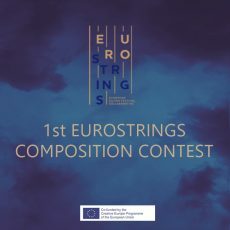 The competition’s first round will be online, with the competitors submitting an uncut and unpublished (it shouldn’t be uploaded to Youtube, Facebook, Soundcloud or any other platform) audio-video recording of their performance alongside with the registration form to the harmoniacordis@harmoniacordis.org email address until the 31st of May 2019; 11:59PM (Romania time). The recordings can be sent through Wetransfer or any other large file emailing platform. The recordings will be judged without names or image (only by audio), so the jury will not know who is playing. The finalists will be selected until the 30th of June 2019 and only after they will be revealed to the jury. 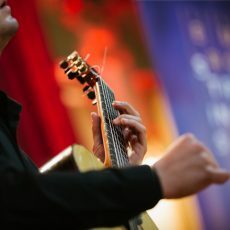 There will be 6 finalists, who will be competing live in the Final during the Harmonia Cordis International Guitar Festival in Târgu Mureș, Romania between the 6th and 11th of August 2019. The whole program has to be performed memorized and the pieces cannot be repeated in the second round. The time limits are set very strict and include tuning time. A scale from 0 to 100 points is used by every member of the jury for the competitor`s evaluation. The highest and the lowest score have to be eliminated to calculate the participant’s average score. The competitors can look up the jury’s scoreboard after the evaluation. All program has to be performed memorized. Up to 6 competitors will be chosen for the final round. In case of equal scores the head of jury declares who will be awarded. The jury reserves the right to withhold prizes if necessary. Free concert entrance every night. The registration will be accepted only after we received the payment, the registration form and the video recording of the competitor’s performance. Please attach a document certifying the transfer with the registration form. (Payment order or pdf from the internet banking). All payments must be transferred to our bank account with the mention “Harmonia Cordis Competition”. 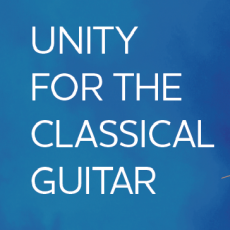 Listen to our Classical Guitar Radio. 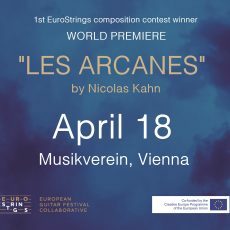 EuroStrings Composition contest appears on the front page of Classical Guitar Magazine website!